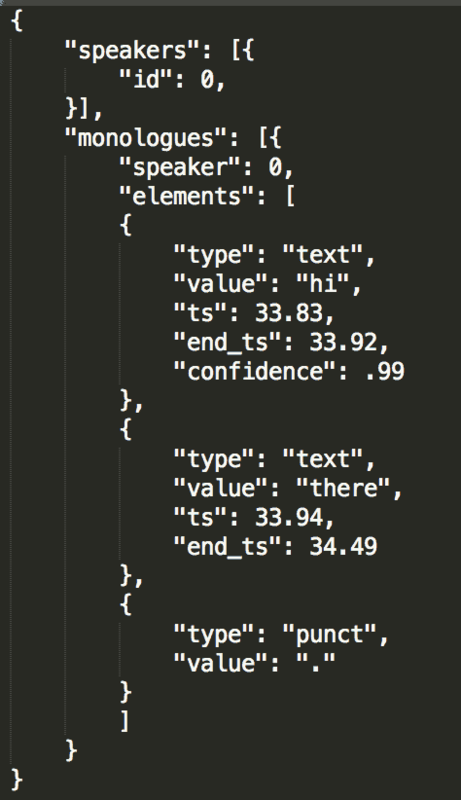 The RevSpeech API allows software developers to directly access our speech recognition model. Since launching Temi, we’ve been tirelessly refining our Speech-To-Text models. Today we’re happy to say that we possess the world’s most accurate speech recognition service. Check out the RevSpeech API documentation. On our internal test set of over 30 hours of audio, we are more accurate than any competitor, including the Google Speech video model. To make our powerful speech recognition more accessible, we’re releasing a developer API to access our models. In addition to having best in class accuracy, our advanced speech models are also built to support punctuation, capitalization, and speaker segmentation. On average, RevSpeech transcribes a ten-minute audio file in three minutes or less. To put that in context, an audio file of the same length would take the average person 40 minutes to transcribe. Who is the RevSpeech API for? This API will let companies who currently use or are looking for a speech solution to integrate with our accurate speech recognition. If you are building a service that could leverage powerful speech recognition, check out our API! How does RevSpeech API work? When you send a file through our API, we process it using our state-of-the-art recognition engine and return it to you with punctuation, capitalization, speaker segmentation, and word-level timestamps. How much does RevSpeech API cost? There’s no upfront cost for you to integrate with our API. The only cost is for our transcription service which is 5 cents per audio minute. Your first two hours of transcription are free to test with. What’s next for RevSpeech API? On the roadmap, we’re planning to allow even more customization of output, utilize custom dictionaries, and support streaming inputs. Want to learn more? Send an email to jay@rev.ai.